Altria Group Inc (NYSE:MO), previously known as Philip Morris, is a big name in tobacco industry. The company reported their third quarter earnings on Thursday. The company is named in the S&P 500 and is among the world’s largest tobacco corporation. On Thursday, the company’s EPS stood at $0.69, with revenues at $4.16 billion. These figures do not include the $1.7 billion, paid in tax. In comparison to last years, all figures have increased. Last year, the EPS was at $0.65, with total revenue rounding up for the quarter, at $4.05 billion. Surprisingly, the Thomas Reuters consensus was set much higher in terms of revenue. The predicted figures were $4.73 billion with EPS at $0.68. The company’s 2014 guidance reveals EPS at $2.54 to $2.59. 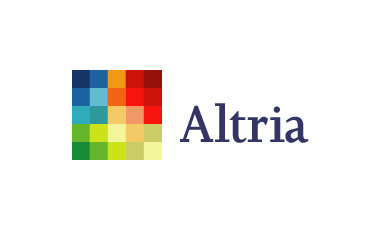 Altria (NYSE:MO) is also known for providing stakeholders, with large sum of dividends. In August, the company’s dividend rose from $0.48 to $0.52, with dividend yield of 4.4%. The company paid a hefty sum of $952 million in dividends in the third quarter that made the 9 months dividend payments up to $2.9 billion. That’s Altria (NYSE:MO)’s strategy to return a large sum to shareholders. The company has also been busy with repurchasing their stocks. It already conducted two buyback stock programs worth $1 billion each, in July and August. Also in the third quarter, the company repurchased 6.4 million worth of shares, with average price of $42.87 at a total cost of $275 million. The company’s CEO also announced that at this stage, the company stands firm. Its adjusted diluted EPS is 6.2% for the third quarter, backed with strong performance from the company in terms of revenues. He expects the year to round up nicely for all parties that include the shareholders, employees as well as customers. In the second and third quarter, the company introduced MarkTen brand e-cigarette products, in 80,000 outlets with in the western part of the U.S. In the fourth quarter, the company plans to take MarkTen into the eastern part of the country. This is in order to complete its expansion plan for the year. The company has high hopes attached to the launch of MarkTen. The coming year will prove what the product has to offer in terms of revenues. The company also faced a decrease in shipment volumes in smokable products, but it managed to keep margin up by adjusting and raising the prices accordingly. The 27% of brewer SABMiller that Altria (NYSE:MO) owns, showed only a $0.01 increase in EPS for the quarter, which is no different from last year. Altria (NYSE:MO) shares closed at $47.57, with only a $0.1% rise on the day. Its 52 week range fluctuates from $33.80 to $47.94, whereas the consensus by Thomas Reuters is set at price target of $45.70. Altria (NYSE:MO) is a huge brand, with a lot of customer loyalties, who adjust their needs and desires to the company’s adjusted prices quite easily. So Altria (NYSE:MO)’s biggest challenge is to keep their customers, satisfied and on board.